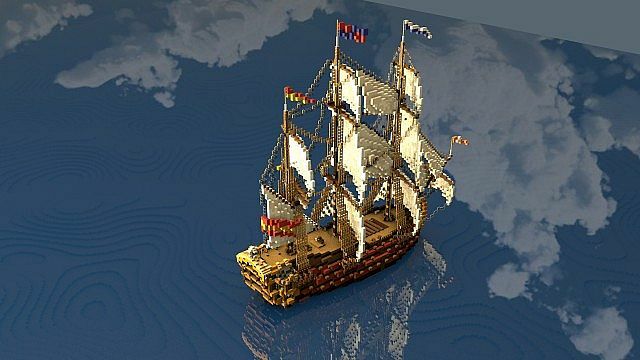 This ship is a first rate ship of the line that I built on the Solaronline server. 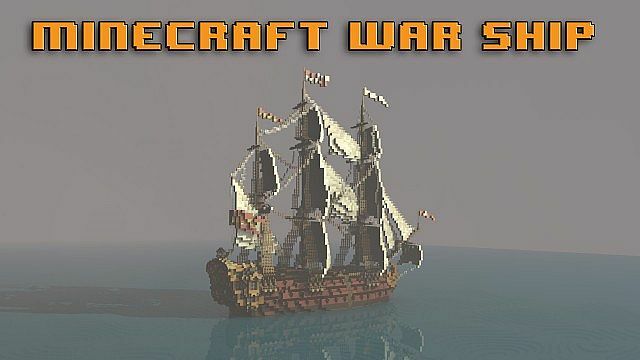 It is part of an upcomming naval battle map by the shipbuilders guild. 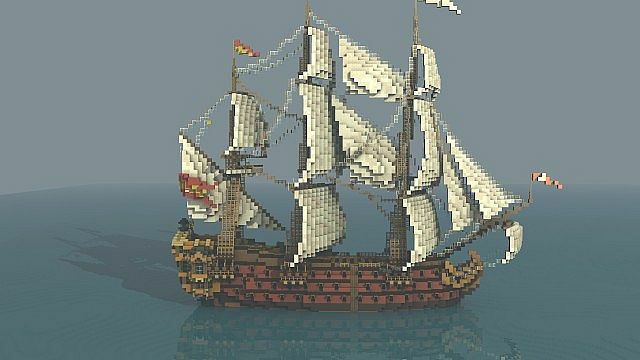 It is equipped with 116 cannons, none of which are working atm (I might add functioning ones very soon tho). 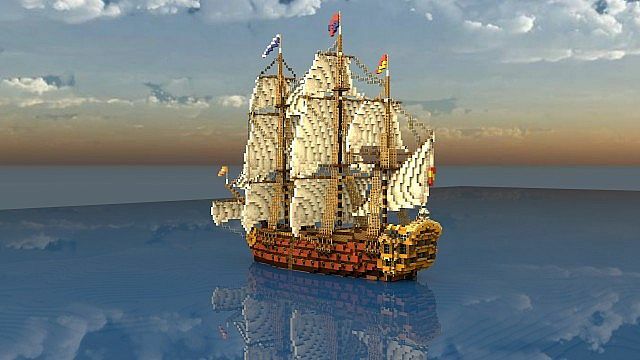 The build is based off of models of the spanish flagship: El Real San Carlos. Uhh, it is meant to be seen in default resourcepack. so no need for fancy RPs. I added a world save to this project, aswell as a schematic, because I got a lot of comments on my last few ships requesting world downloads. 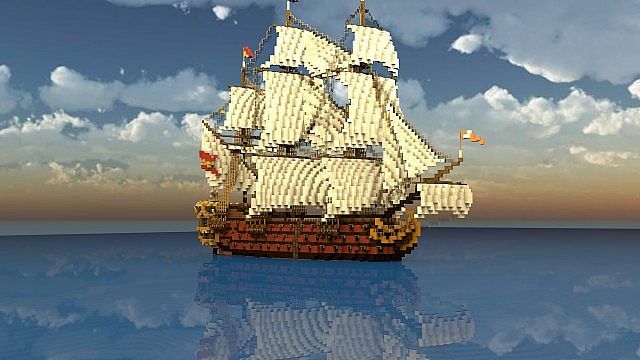 beware, that this worlddownload contains 2 ships. 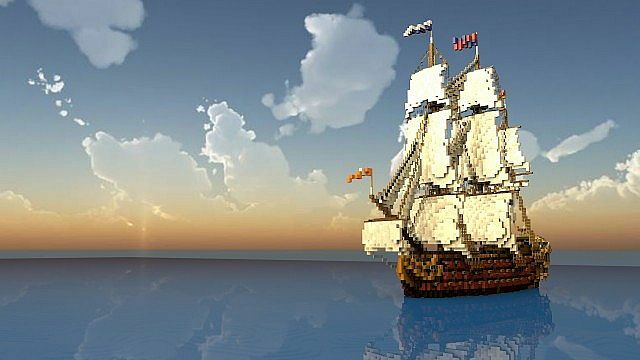 you will spawn on another ship, and to find San Caca you must fly roughly 300 blocks forward (from the bow of the Platon). I decided not to make a cinematic for it, but a showcase video, for the sake of originality. 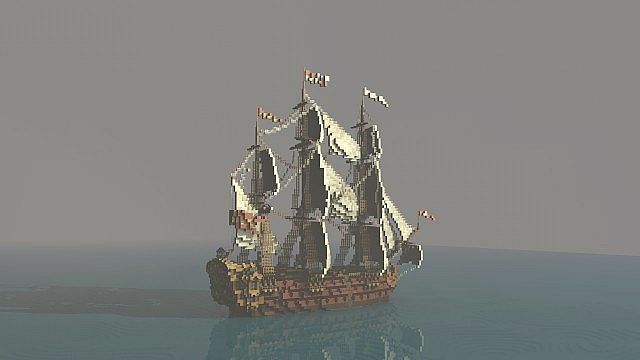 Shipbuilder to shipbuilder: Looks pretty good, a little older than what I do, but I like this style of ships, the sails are amazing, not many can pull that off. :) Can't see the hull, but hope you have it deep enough in the water as many fails at that. Wow, I am truly terrible with world DLs. I'll try again with a clean world with only this ship this time. Anyways, I'll try to fix it now. Ehum... the world save link is to the youtube video dude.. fix please. Oh thank you, I didn't notice. 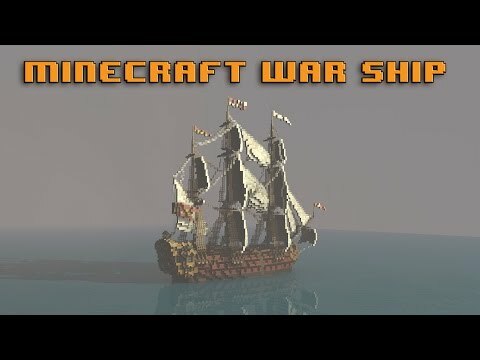 Great ship and lovely renders. My canal boat can best thee! Beach her in the canal! Then board and take her! With our crew of three!